Chocolate Cake With Heart Shaped.The best gift you can send to your beloved on Valentine’s Day is a heart shaped chocolate cake. Our yummy heart shaped chocolate cake is made of only the best quality chocolate. The top is covered with rich chocolate icing. 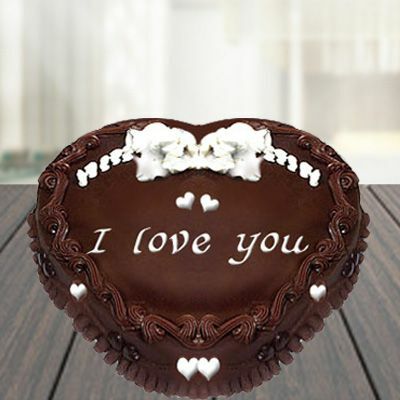 Send cake online to your loved one and express your love. 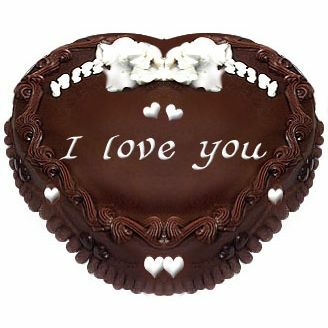 Our heart shaped chocolate cake can also be sent on birthdays and anniversary or simply to say “I Love You”. The heart shaped chocolate cake shows that you really care about the special person in your life. To make someone’s day really special, avail our home delivery service or better still our midnight delivery service.